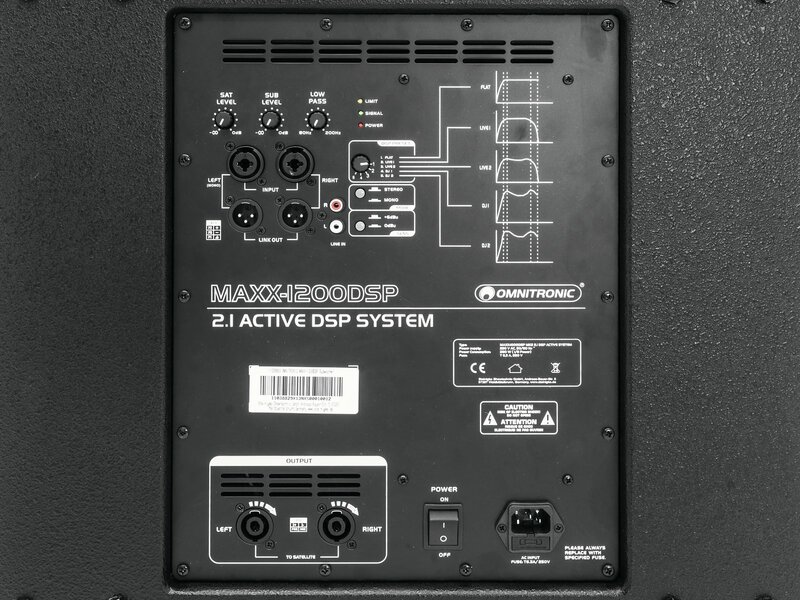 The MAXX-1200DSP is your compact active PA system with a high power of 1200 watts RMS. You are a mobile DJ a solo entertainer or are you playing in a small band? 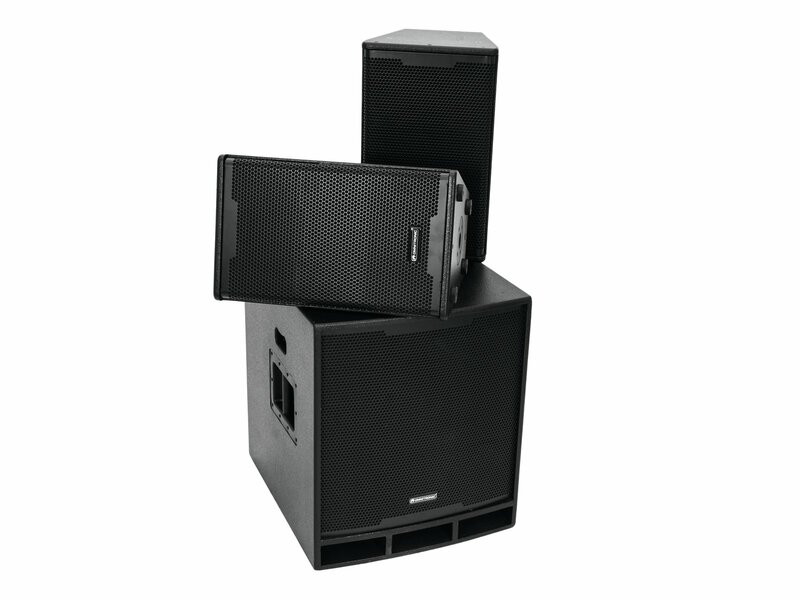 Then this mobile PA with its astonishing sound and good level stability is your perfect match. 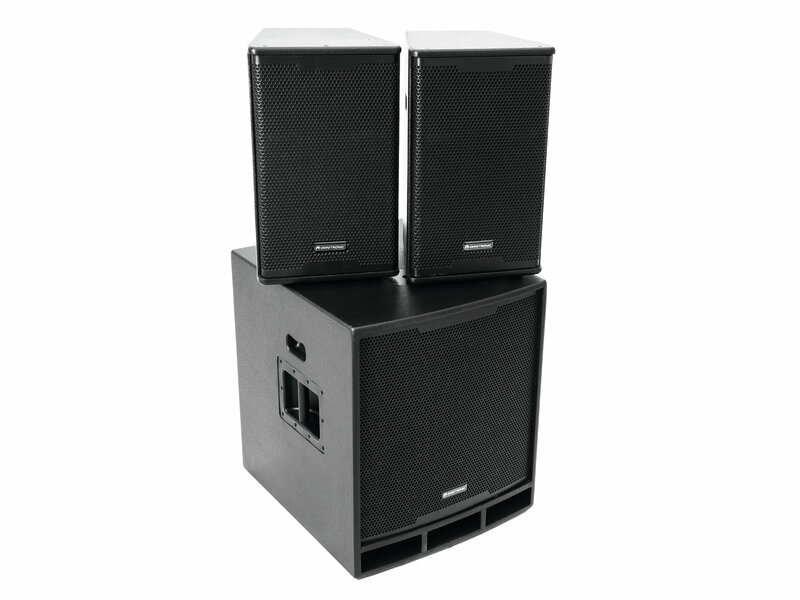 Power is supplied via a subwoofer with 45 cm bass speaker and two satellite speakers with 25 cm bass-midrange speaker and 3.5 cm driver. 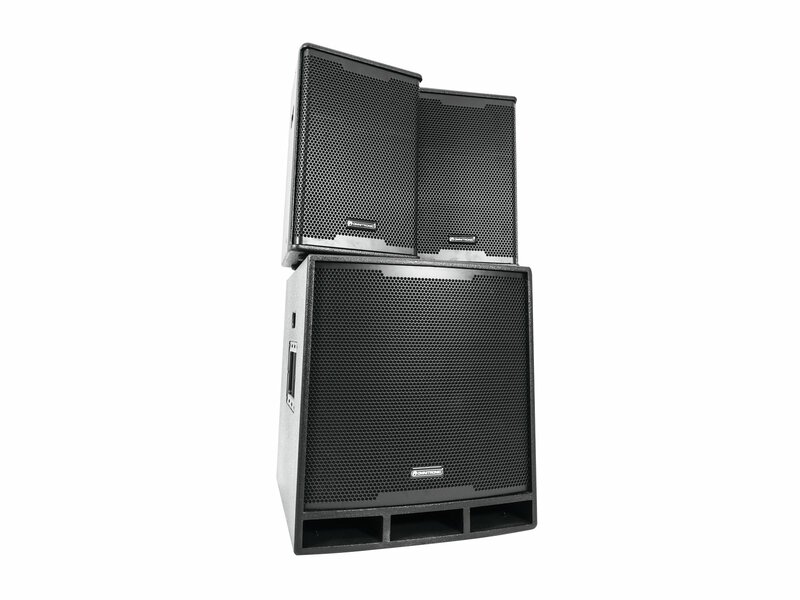 The amplifier is protected against overload and overcurrent. You can find a passive 2-way crossover with a PTC tweeter protection within the satellites. You have 5 EQ presets, RCA and combined XLR and 6.3 mm inputs with XLR parallel output (to connect further systems) at your disposal. Whether you want to work with mixers, notebooks, smartphones or CD players - the MAXX gets along with all this sources.